TGP’s Fireframes Curtainwall Series combines narrow, extruded steel frames with Pilkington Pyrostop® glass to provide a barrier to radiant and conductive heat transfer. It gives architects the option of designing with large expanses of glass in interior and exterior fire-rated glazing applications. 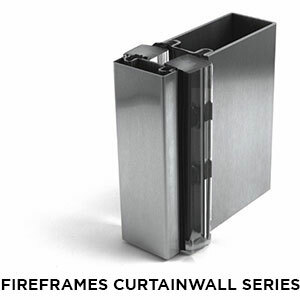 Classified and labeled by Underwriters Laboratories, Inc. ® (UL), the Fireframes Curtainwall Series carries up to 120-minute fire ratings as a wall assembly. 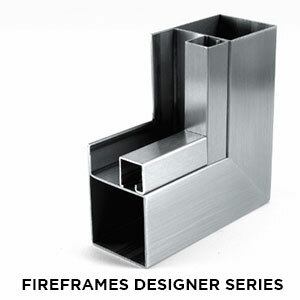 Fireframes Designer Series doors and frames incorporate precision European engineering, providing a sleek, modern alternative to traditional hollow metal frames. The system can incorporate a wide range of fire-rated glazing materials – including the FireLite® family of fire-rated glass – in glass sizes that surpass those supported by traditional systems. The doors and frames are classified and labeled by UL for areas requiring up to 90-minute fire ratings. For more information on the Fireframes Curtainwall Series and Fireframes Designers Series fire-rated doors and frames, along with TGP’s other fire-rated framing and glass products, visit www.fireglass.com or call (800) 426-0279.